Gartner maps composable infrastructure in their 2018 Hype Cycle for Infrastructure Strategies in the early “Innovation Trigger” phase of technology hype – see report here. Kaminario has adopted the term “composable storage” to describe our approach to providing a new level of storage flexibility in 3-tier datacenter architectures where you have a tier of dedicated storage arrays. We introduced Kaminario Flex as a composable storage orchestration platform to manage K2.N resources based on a fully converged NVMe and NVMe over fabric (NVMeF) architecture. NVMe and NVMeF technologies are closely linked to the concept of composable infrastructure. As it happens, Gartner places NVMe/NVMeF on the 2018 Storage Technologies Hype Cycle in the same Innovation Trigger phase – see report here. The low latency networking of NVMeF between NVMe SSD and storage controller opens enormous potential for new shared storage architectures. Kaminario’s software defined storage architecture (i.e. VisionOS) decouples storage capacity from storage compute – that is, we can build an array with any ratio of controllers to drive shelves. Our K2.N architecture is exactly this – we can define an array as any number of controllers (called c.nodes in K2.N speak) and any number of NVMe enabled JBOF (called m.nodes). K2.N arrays can deliver extreme performance due to the low latency NVMe and NVMeF. And due to the fact IT managers can configure any number of c.nodes to deliver whatever I/O ratio is needed. But the real value of NVMeF connectivity comes in the ability to associate any c.node to any m.node in the datacenter with essentially no loss in latency between the two elements. This means it is possible to build an “array” from c.nodes and m.nodes regardless of where they sit in the datacenter. This means we can create an array from any number of c.nodes and any number of m.nodes so long as they are on a common NVMeF mesh. Further, we can associate NVMeF connected elements on the fly using Kaminario Flex. This is Kaminario’s definition of composable storage. Storage Resource Creation: Storage Admins can dynamically compose storage arrays (we refer to them as Virtual Private Arrays – or VPAs) from any available c.nodes and m.nodes on the NVMeF network. This new array will be running Kaminario Vision OS and is connected to Kaminario Clarity for analytics and support. Scaling up: Admins can add capacity (i.e. scale up an array) by assigning additional m.nodes to an existing array. Scaling out: Admins can add performance or I/O (i.e. scale-out an array) by assigning additional c.nodes to an existing array. Autoscaling: Admins can define rules within Flex that will scale an array – up or out – automatically based on a set of conditions or events. For instance, if the demands on an array increase based on usage and the user experience of the application suffers, Flex can automatically allocate an additional c.node to improve I/O. Availability: Flex can be used to replace faulty components in the case of a c.node or m.node failure. This replacement can be done manually by an Admin or automated. In either case, this replacement can return an array to full capability in a fraction of the time a manual replacement could be done in a traditional array. Orchestration integration: Flex is designed with an open set of APIs that enable integration with a broad array of datacenter orchestration platforms. Kaminario is uniquely positioned to deliver on this vision of Composable Storage in the immediate term with no compromise on capability. 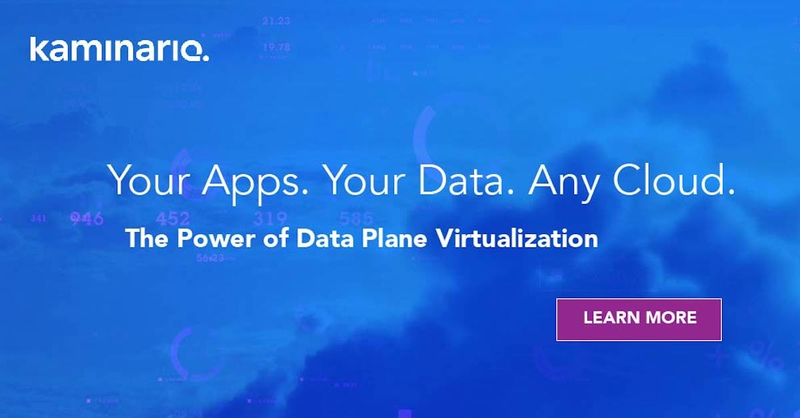 As an established leader in the all-flash array market, we can leverage our software-defined architecture and the new generation of NVMe/NVMeF hardware to deliver composable storage solutions that leverage the proven enterprise-class capabilities of VisionOS.